Several years ago, I was introduced to Josh Garrels Music. I heard a couple of songs, loved it, then realized, I listened to his music all the time and became slightly obsessed. His music was the perfect easy listening music that I could tap into or out of throughout my day as I worked. His music is soothing and comforting, sharing emotions that I felt or understood with unique sounds and amazing vocals. I have always said, his style is the perfect blend of life, theology and literature with music. So, I bought every album he had off of Noisetrade. I listened to his music virtually every day for a solid year. During that year, life was hard, life was good, and life was busy. I felt an immense burden to keep carrying on, pushing through difficulties and making it through my journey well, no matter what I faced. Then, I had about $9,000 worth of stuff stolen from my apartment from someone I was helping, while I was on mission out of the country. It was just stuff, I could handle this, and I’ve never particularly been attached to my things… But, let me tell you, police reports, insurance, detailed lists.. Who steals 3 bottles of shampoo but neatly lines up the expensive weapons you had stashed around the house?! Then, in the midst of dealing with the insurance company, I was let go from my job. Thankfully, I was given a stipend that would get me through the end of my lease in a couple of months. I felt crushed, like my life was literally crumbling before my eyes and I was too weak and small to stop it from happening. I went home after finding out, and despite putting on a brave face for everyone else.. I sat on my couch with my puppy wanting to play, and I just sat. Feeling no emotions except disbelief… How had I gotten here? How do I follow God halfway across the country, only to a year later be sitting in my apartment with so many things that were just stuff to me missing? What do I do now? The job I thought was pursuing Him now gone. And in its place, just nothing. No direction, no peace, no confidence. So, in Krista fashion, I got up from that place, I had stuff to do, no one was going to help me. I went to my newly replaced computer, re-downloaded my iTunes music, surfed for Josh Garrels and almost cried when I realized none of his music was bought through iTunes. I uttered a little “Come ON God” prayer and went to Noisetrade again silently pleading that I would find something. All of Josh Garrels’ music was free. I could replace every album without having to pay a for it second time. I had one of those huge sighs that gets stuttered when you’re about to cry. So, I once again downloaded his albums, put them on blast and proceeded to start cleaning and packing. I had applied for several hundred jobs around the country, I no longer lived in my own home, but instead stored my stuff with one aunt and uncle and moved in with another aunt and uncle. I knew how blessed I was because I was being so amazingly taken care of by people who made me feel like it was the simplest thing in the world and that I belonged. I knew I was given precious time with my parents, siblings, nieces and nephews that all lived close by. Yet, I had been told by God that life would get worse… and worse it got. Months went by and I spent every day all day applying for jobs and doing freelance work to pay my monthly bills. Winter was the worst one in MI, with snow storms every three days for months, no sunshine, and I was alone all day long trying to force movement in my life that simply wasn’t budging. And, every day, Josh Garrels music played in the background. I often would crawl into bed at night, and my heart would be aching, feeling abandoned by God, fearful of tomorrow, stressing about every dollar I had to spend, trying to rationalize the season I found myself in, and feeling nothing but pain. So, I created a sleeping playlist hoping that the music would wash over me, and usher in peace as I slept. The playlist had everything from Hillsong and Enter the Worship Circle, to Brooke Fraser and Josh Garrels. Anything that said something to my heart softly was played. For months this went on; my head knowledge was full on at war with my heart knowledge. My head knew full well that my savior is always faithful, always has been, and always will be; but, my heart-felt none of that. I struggled to understand, but always came up short. Then, in a horrible series of events, a friend needed help, and I had the availability to go. So, we spent months together in both of our utter brokenness trying to help the other in different ways, while leaning on the support we offered each other. But, for the first time in almost a year, I had purpose, I was needed, I finally was capable to do something productive. I still spent hours every day applying for jobs and seeking out freelance work, and never quite let go of the deepening feeling that despite how I looked on paper, I was not enough. All the while, Josh Garrels music played in my headphones. Other music was certainly a part of my life, For King and Country was played often, as was Brooke Fraser’s music. But, the constant that I returned to was Josh Garrels. Then, last fall, I got an interview, then a second, then a job, moved, and began slowly rebuilding my broken life in DC again. Still feeling as though I was building a house of cards that would come down, surely life was not yet good. I enjoyed my new life, friends and job, but I was confident deep down that the other shoe would fall and I would be once again useless. Fear began seeping into every small facet of my life. Not once before would I have described myself as a fearful person, I have always loved to dance in the unknown and “see what happens” because after all, what is the worst that could happen? Yet, here I was trying to push through, hoping deep down that eventually I would feel safe again. Josh Garrels released his new album Home a couple months ago, and it is perfect. It reflects such a peace, joy and comfort that home has. That safe feeling that you belong, are known, and that it’s ok to mess up because that doesn’t change who you are or how much you are loved. I’m fairly confident I have listened to the album every day since it’s release. 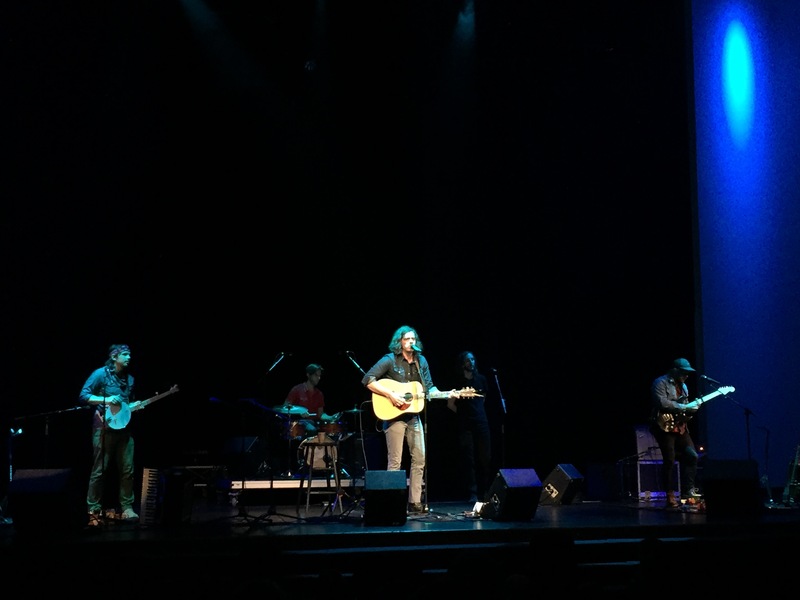 Last night at Josh Garrels’ concert in VA, he talked about the emotions of Home. He described the season of life he was in, and how on paper it was good, yet he was struggling through these feelings of fear but needing to know things were going to be alright. I could have spoken every single one of those words (except for being married and having three children haha). I love his new album immensely, but his old work carries deep inside of me cause it was the backdrop of so much pain, life, wrestling, and working through who I was and my worth when all else was stripped away. My Abba Father and I have been sifting through where my identity rests. What worth do I have when I am incapable of helping someone else? How do I accept my good when I mess up so often, handling things so poorly more often than I ever care to admit. Throughout the concert, Josh Garrels played some of his new music, but also much to my delight, some of his old music as well. So, in the course of an hour and a half, I felt all the feels of the old life of the last few years, and the hope that is slowly seeping into my new life. So, today, I find myself feeling an immense amount of thankfulness. Thankful to my friend who gifted me with tickets to the concert. 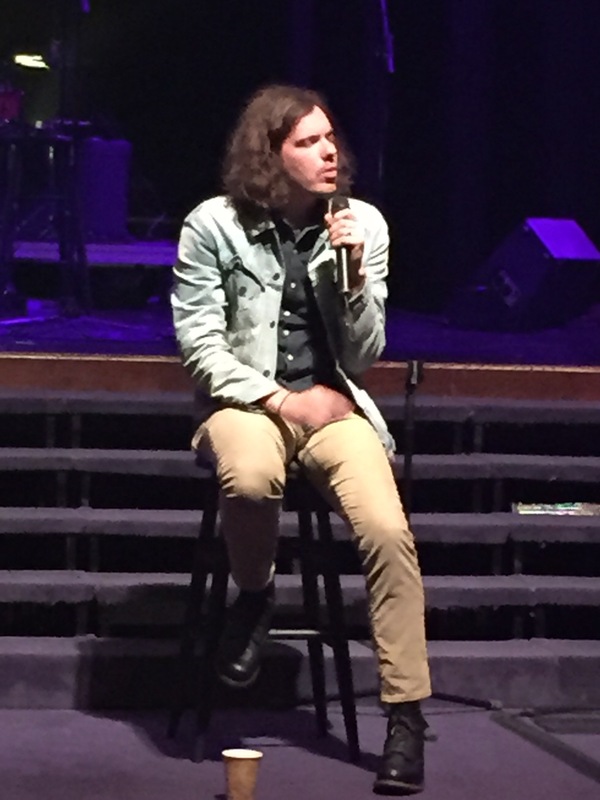 Thankful for Josh Garrels, his wife, his music, and how he shares his journey towards Christ. Thankful that God is working, and moving, and creating something new in me. Thank you for letting me share my story and unpack another layer and element of what is happening inside of me. 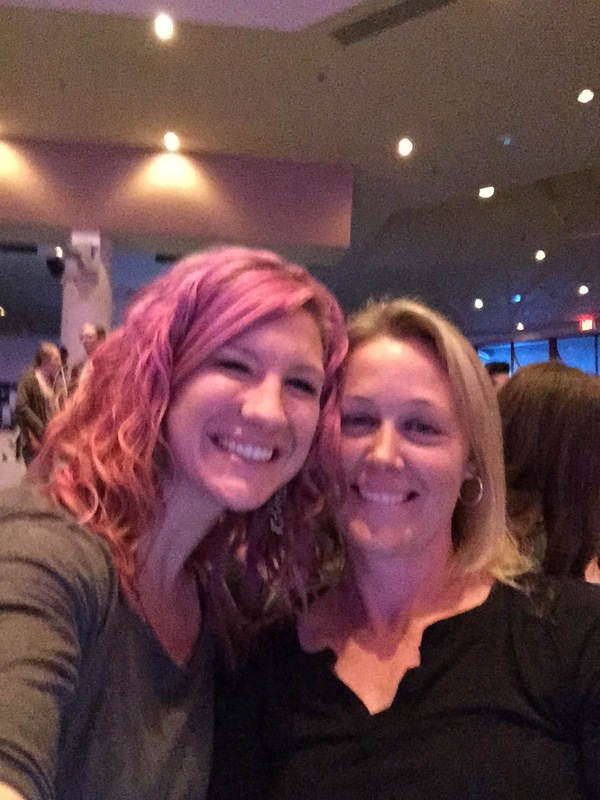 This entry was posted on June 6, 2015 by kpbback in 2013, 2014, 2015, Abba, Brooke Fraser, Christ, DC, Emotions, Faith, Family, Fear, Feelings, Friend, Friends, God, Healing, Health, Heart, Holy Spirit, Home, Honesty, Hope, Hurting, Insecurities, Inspiration, Jesus, Josh Garrels, Journey, Life, Lord, Love, Lyrics, Music, Peace, Scars, Stress, Tree, Trials, Trust, Truth, Value and tagged 2013, 2014, 2015, Abba, Brokenness, Brooke Fraser, Concert, For King and Country, God, Home, Hurt, Jacaranda, Jesus, Josh Garrels, Life, Lord, Lost Animals, Love & War & The Sea In Between, Mason Jar Music, Music, Over Oceans, Pain, The Sea In Between.